Fire tore through a house on Long Island early Friday morning. 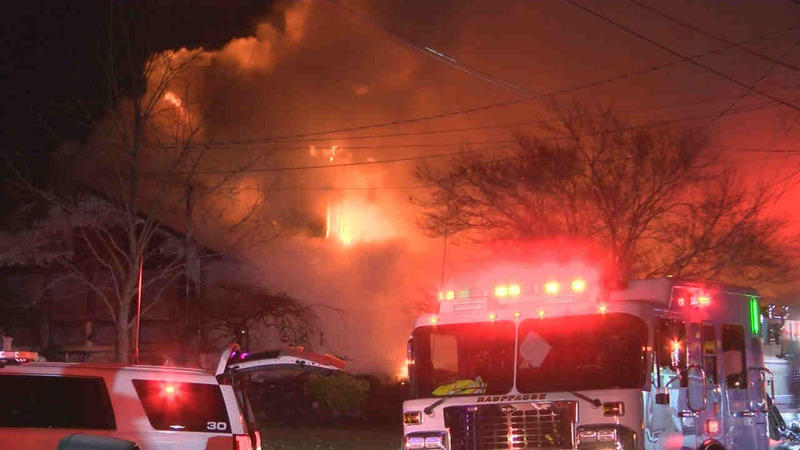 HAUPPAUGE, Long Island (WABC) -- Fire tore through a house on Long Island early Friday morning. Flames tore through a house on Joyce Drive in Hauppauge, spreading to an SUV in the driveway and nearby trees. Firefighters got the call around 2 a.m. They arrived to find flames shooting out the windows. Two residents in the home climbed out a second-floor window. The cause of the fire is under investigation. There were no injuries, but part of the two-story home collapsed.